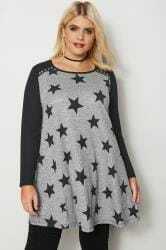 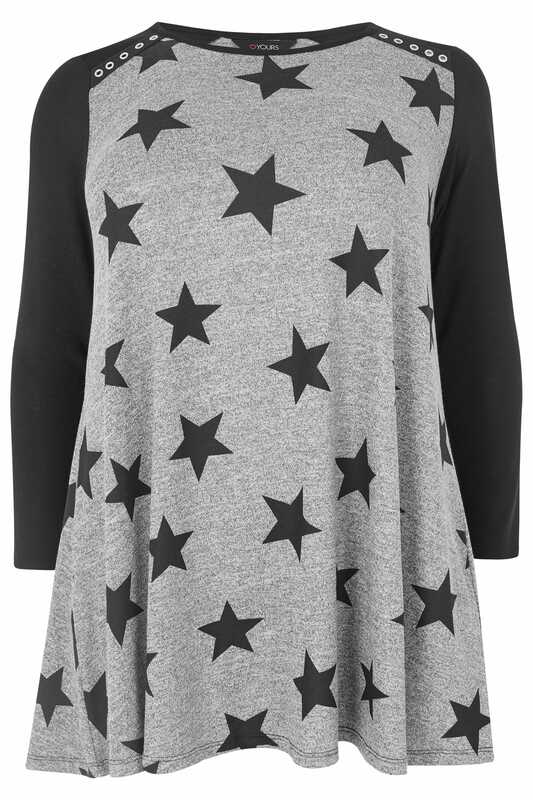 Update your casual look with this star print tunic top. Made from a super soft fine knit fabric, it features eyelet details to the shoulders. 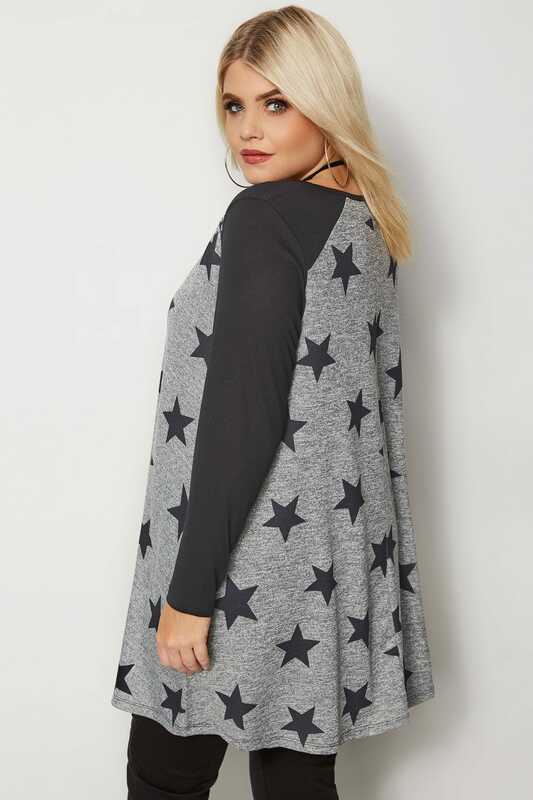 In a flattering swing shape, it's the perfect thrown on and go for day-to-day wear. 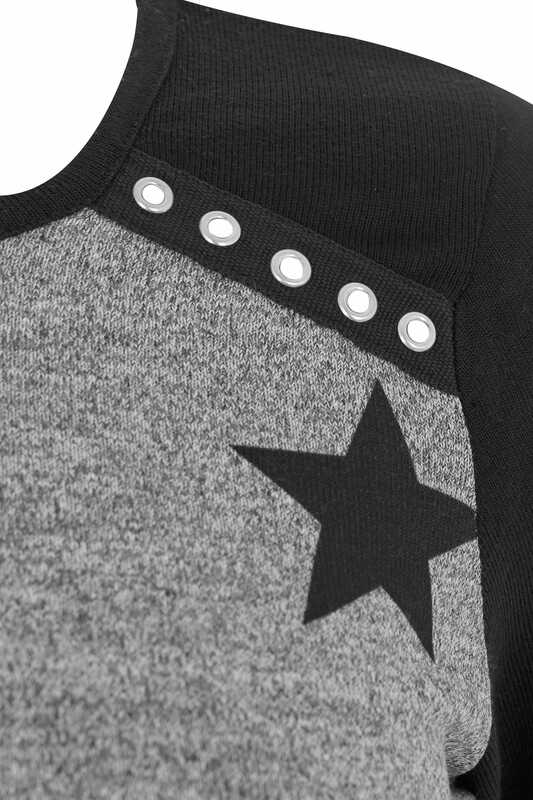 Simply team with dark denim and a leather jacket. 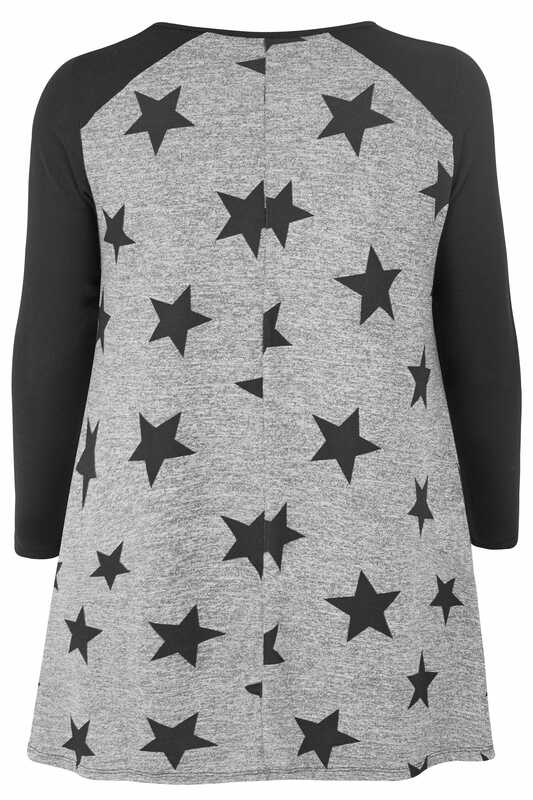 We love the bold star print for autumn-winter.